It seems some time over the past few days, the Gmail team decided to update the New Contact button on the New Contacts Preview. Previously the FAB (Floating Action Button) was a big blue circle with a white plus sign in it. At some point recently, the team updated this to a big red circle with a whit plus and the top half of a person to indicate new contact. See below for what the new button looks like. 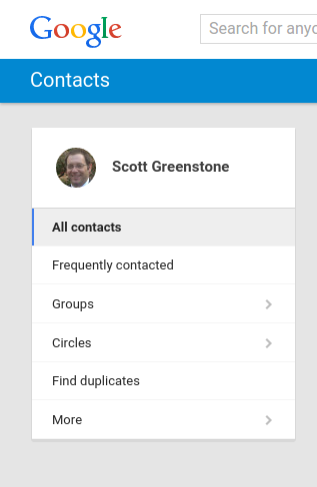 I suspect this was done to alleviate the many inquiries on the product forum regarding how to add a new contact in the contacts preview program.